Garnet pg 3- How Magnetic Are Garnets? Magnetic fields are generated around the north and south poles of a magnet. Opposite fields attract (north to south). Like fields repel (north against north, south against south). In this website, we use the term "magnetic" informally to refer to any gem that shows visible attraction to a magnet. Magnetic susceptibility is the scientific term for the degree to which any material is attracted to or repelled by a magnetic field. Nearly all references to magnetism found in gemological literature tell us that very few gemstones are magnetic, but this is misleading information based on testing with traditional magnets. With the aid of strong neodymium magnets in conjunction with the floatation method, we have discovered that a large percentage of gemstones show a measurable degree of magnetic attraction. Magnetic gems are attracted to a magnet because of the metals dissolved within them. The degree of attraction can be noted as weak, moderate, strong, drags or picks up. Many gems are not "magnetic", meaning they are not attracted to a magnet, and these show an inert or diamagnetic response. We can separate one type of gem from another, and sometimes identify a gem, simply by observing which response a gem shows when the magnetic field of an N52 grade neodymium magnet is applied. 2) Friction, which causes resistance to movement of a gem when the gem is attracted to a magnet, is mostly eliminated. There are a couple of ways to reduce friction: the pendulum method, and the floatation method. The old pendulum method is a less sensitive method because it is hampered by the weight of the gem, and it is more cumbersome to use. We use only the simplest and most effective method: floatation of the gem over water (see page 2 of How to Use a Magnet for details). These metal oxides can act as coloring agents (chromophores). 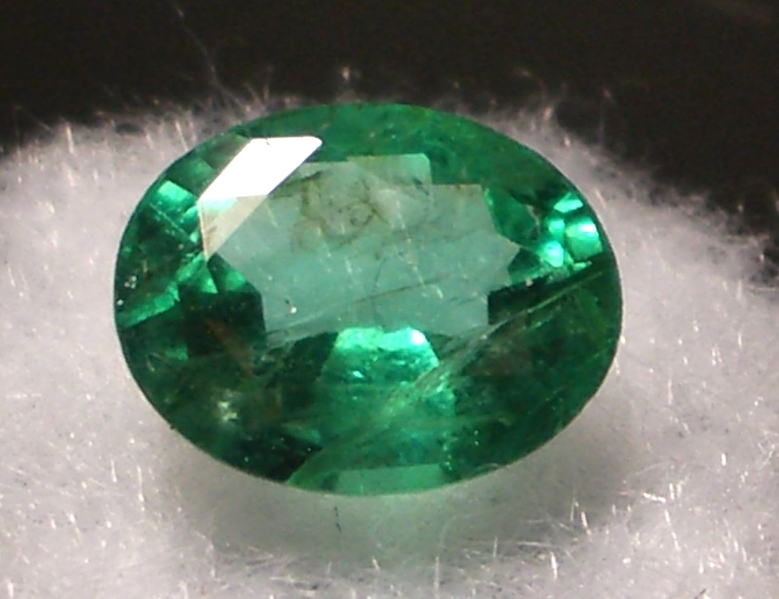 For example, the green color of Emeralds is due to the presence of chromium and/or vanadium oxides. 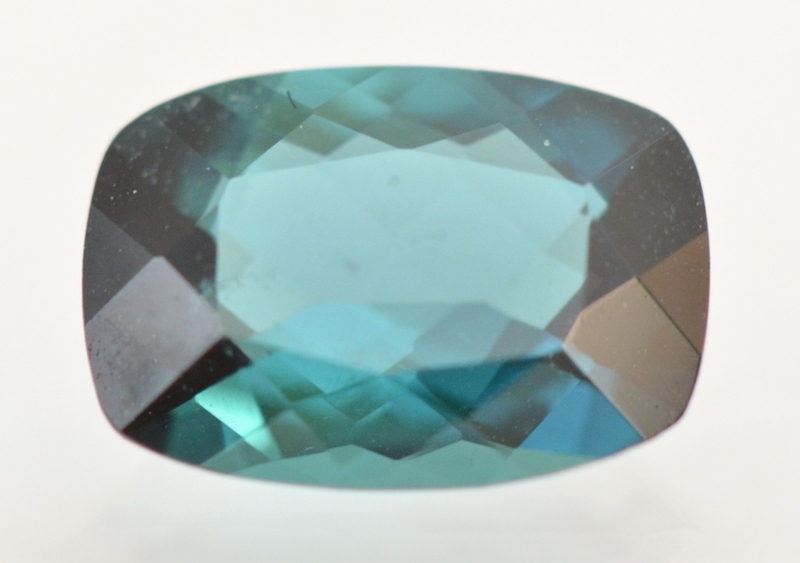 The blue color of Indicolite Tourmaline is due to iron ions within oxides. Color is the result of light interacting with electrons within a substance. As light rays pass through the crystal structure of a gem, metal ions absorb energy from various portions of the light spectrum, removing specific wavelengths and leaving others that we then perceive as color. This selective absorption of wavelengths gives rise to a large variety of colors and shades. Metal objects made from iron or iron compounds are noticeably attracted to a magnet. 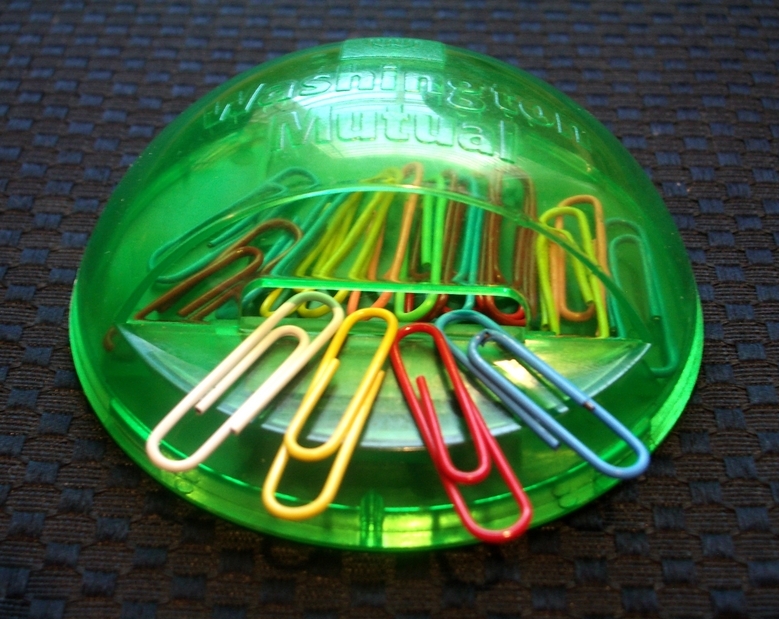 A familiar example is a paper clip that sticks to an office magnet. The strong attraction shown by the paper clip is an example of Ferromagnetism ("ferro" refers to iron). 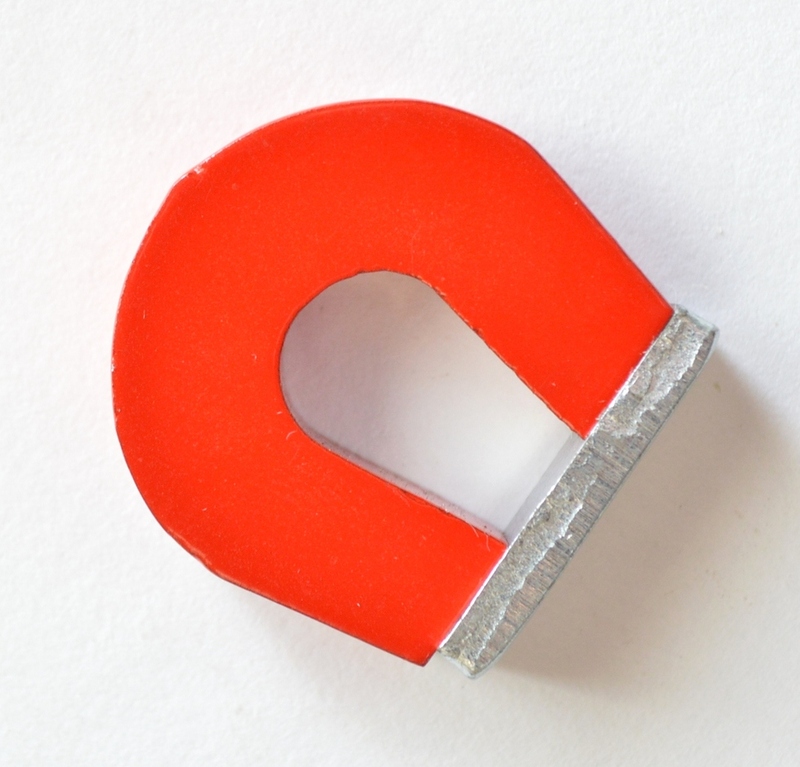 The office magnet and paper clip are both composed of ferromagnetic materials, and if we rub a paper clip across the surface of the magnet, the clip becomes magnetized. It retains some of the magnetic field induced by the magnet. 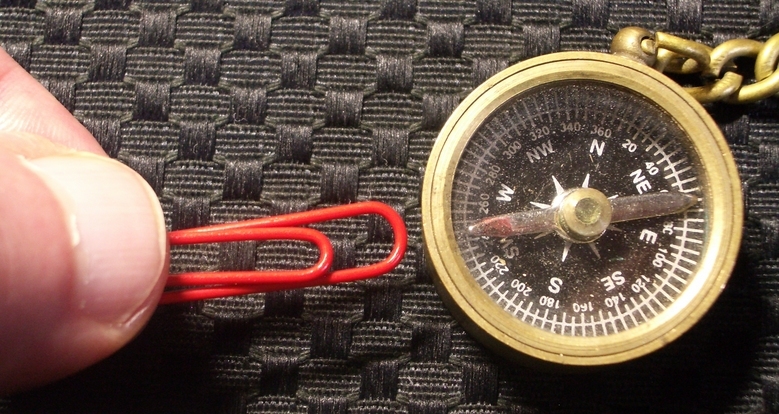 The induced magnetic field of the paper clip is then strong enough to move a compass needle. This simple experiment is an interesting demonstration of ferromagnetism. There are a number of paramagnetic metals found in nature. In some cases, these metals can exhibit either ferromagnetic or paramagnetic behavior, depending on the state of the metal. For example, when iron exists as a solid pure metal or metal alloy, as it does in a paper clip or an iron meteorite, it is ferromagnetic. But when iron exists in the form of charged atomic particles called ions that are dispersed in solid solution throughout the chemistry of a gemstone, it is generally paramagnetic. Each metal ion is a single atom containing unpaired electrons, and collectively these metal ions are responsible for the magnetic attraction we find in many gemstones. These metal ions are chemically bonded to oxygen atoms, existing as metal oxides within gems. Powerful neodymium magnets (neodymium-iron-boron) that can be used effectively to test gemstones have only been available since the 1980's. Neodymium is the rare earth element component, and the magnet surface is plated with nickel. Ferromagnetic particles of iron can be detected with a magnet in some synthetic Diamonds, but synthetic Diamonds are the only transparent gemstones we know of that show a visible ferromagnetic response. The magnetism that we most often encounter in natural and synthetic transparent gemstones is a different kind of magnetism called Paramagnetism. This type of magnetism is due to the presence of metals dissolved within the chemistry of the gems. Paramagnetism is a weak type of attraction that can be as much as a million times weaker than Ferromagnetism. Only a temporary magnetic field is involved in Paramagnetism, induced in gems only while the magnetic field of an external magnet is applied. 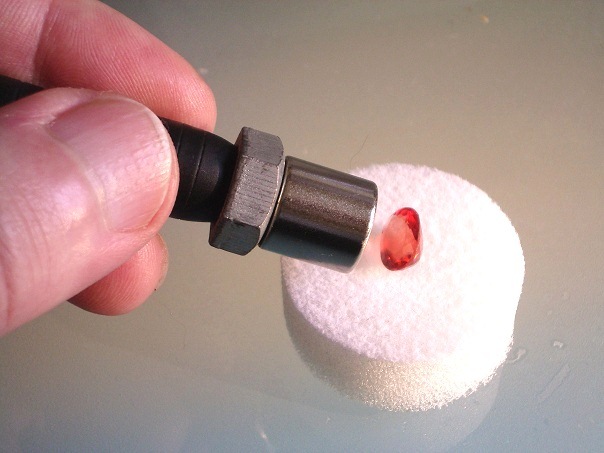 Paramagnetic gems cannot be permanently magnetized. Unlike a metal paper clip, they cannot retain a magnetic field after a magnet is removed from the vicinity. The combination of a powerful magnet and a near-frictionless testing method provides us with a means to detect very slight magnetism in gemstones. The gem moves toward or away from the magnet. The magnet we use is an N52 grade neodymium magnet (neodymium-iron-boron magnet, or NIB), which is the strongest grade permanent magnet available today. Weaker grade neodymium magnets such as N42 grade magnets, and other rare-earth magnets such as Samarium-Cobalt magnets, are available, but these are less effective tools because they generate weaker responses. All responses described in this website and listed on the Magnetic Susceptibility Index are based on testing with 1/2" diameter N52 magnets. People are generally surprised to learn that gemstones can be magnetic. This is because most gems show no direct response to common magnets that we keep around the house. 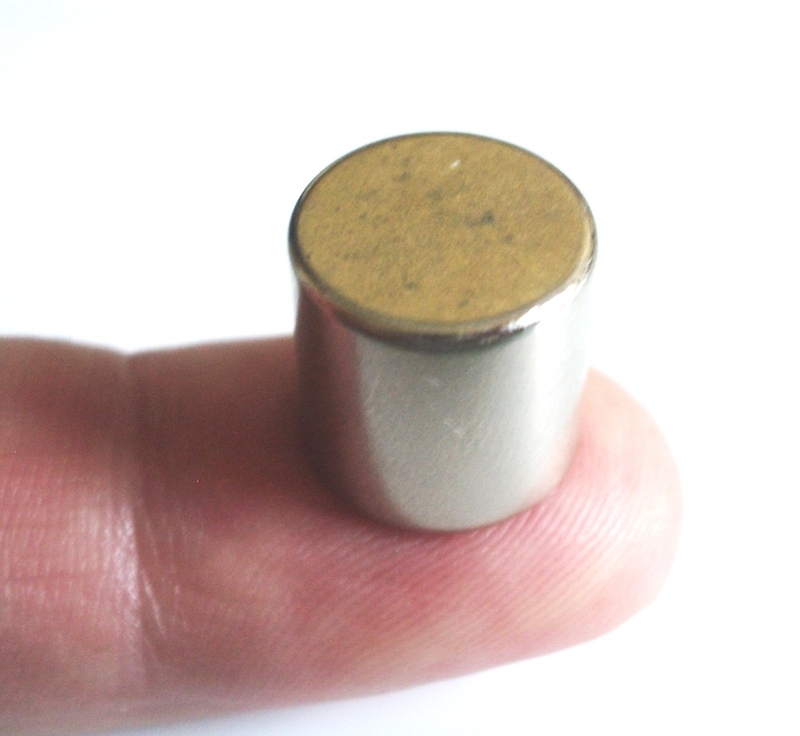 Alnico magnets (aluminum-nickel-cobalt), such as the horseshoe magnet pictured below (left), are many times weaker than rare earth magnets. Ferrite magnets such as the refrigerator magnets pictured below (right), can be even weaker. 1) Recent advancements have made small and powerful neodymium magnets commercially available and affordable. © Kirk Feral 2009, All Rights Reserved. These materials may be duplicated for educational purposes only. No part of this website may be duplicated or distributed for profit, for commercial purposes, or for posting to another website without the expressed written consent of the copyright holder. Among synthetic gems, other Rare Earth elements such as erbium (Er), holmium (Ho), and europium (Eu) are sometimes used to produce pink colors. In the coming pages we'll discover how various metals produce different levels of paramagnetism that result in different magnetic responses in gems. 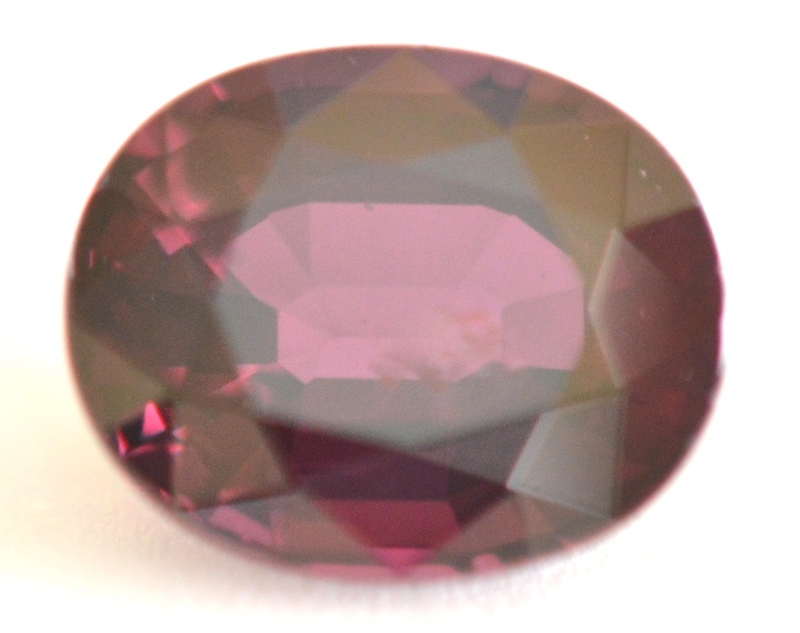 Rare Earth metals occasionally appear in gemstones as paramagnetic coloring agents. There are 17 Rare Earth elements on the Periodic Table (next to the bottom row), but only 3 act as coloring agents in natural gemstones: neodymium, praseodymium and cerium. Uranium is a radioactive paramagnetic metal found as a coloring agent primarily in natural Zircon gems (see the bottom row of the Periodic Table). 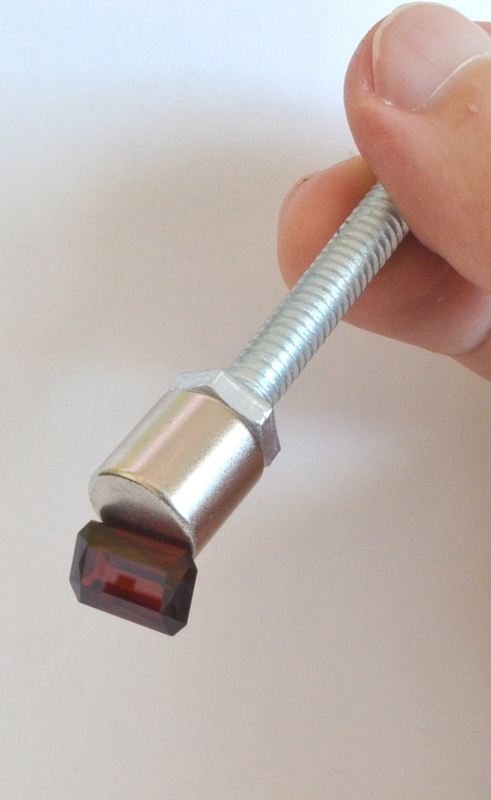 A magnetic wand made with an N-52 neodymium magnet can in many cases detect these metals in gemstones in concentrations that would normally be undetectable without the aid of more sophisticated instrumentation such as a spectrometer. How Sensitive is Our Magnetic Wand? When paramagnetic metals are present in natural gems in trace amounts (under 0.1%), they are undetectable with a 1/2" X 1/2" N52 neodymium magnet, except for manganese III (Mn3+), neodymium and praseodymium. More exact data on the magnetically detectable concentrations of specific metal oxides within gemstones and the measured magnetic susceptibilities of those oxide concentrations could be determined through research that compares magnetic susceptibility data for specific gem samples to chemical composition data on the same samples obtained through electron microprobe analysis or laser ablation (LA-ICP-MS) analysis. This line of inquiry has not yet been been pursued by professional researchers. It is the Transition metals, and at times Rare Earth metals, and in rare cases Uranium, that cause color and magnetism in gems. 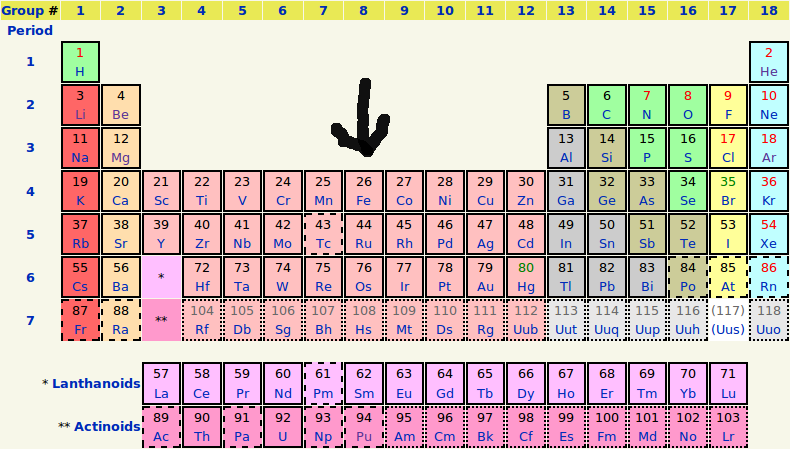 Transition Metals, Rare Earth metals and Uranium occupy a central location in the Periodic Table of Elements. There are 38 Transition Elements, but only 8 play a principal role as coloring agents in gemstones (see the Periodic Table below, elements # 22-29). 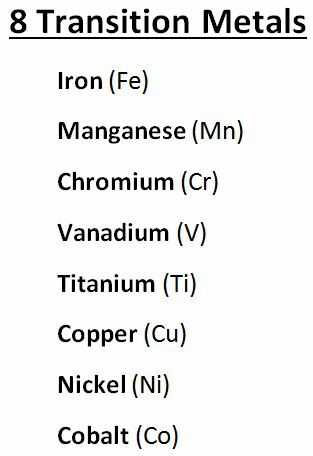 Transition metals are those metals that transition between different valence states, and most of these transition metals are paramagnetic within gemstones. Magnetism arises fundamentally from the spin and orbital motion of electrons. When atoms within a metal contain electrons that are not paired with other electrons, the unpaired electrons are free to align themselves with a magnetic field, resulting in magnetic attraction. Some metals (such as gold, silver and lead) don't have enough unpaired electrons to show magnetic attraction, as is the case with most non-metals and organic substances. However, all substances in nature respond to a magnetic field. They are either attracted or repelled by an external magnetic field. 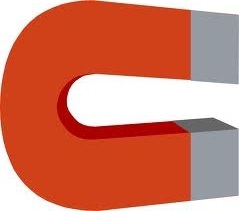 Most responses (attraction or repulsion) are too weak to be directly visible using a common magnet. Common magnets are mostly used to detect a strong type of magnetism called Ferromagnetism, which is seldom seen in gemstones. Permanent magnets such as household and industrial magnets are manufactured from ferromagnetic materials that are magnetized by a strong electric current. The magnets are then able to generate a strong and persistent ferromagnetic field of their own.